Sadly I missed most of this afternoon's session but I did catch most of Ken Clarke's session. 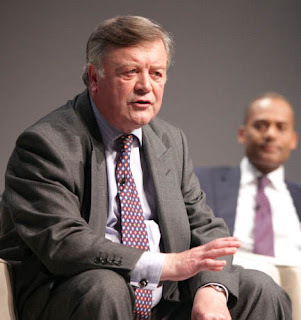 Its always good to see Ken Clarke but I am afraid he did less than brilliantly today. He had some good policy announcements (Corp' Tax reduction) but rambled a bit. My largest concern was that he constantly talked about 'when we become the govt'. Way too assumptive and complacent.